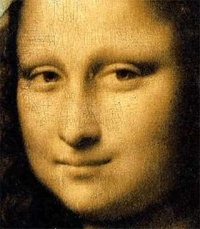 Mona Lisa, or La Gioconda. (La Joconde), is a 16th century oil painting by Leonardo da Vinci, and is one of the most famous paintings in the world. This categorical era spans the two centuries between the Middle Ages and the Industrial Revolution that has created modern society. The early modern period is a term initially used by historians to refer mainly to the post Late Middle Ages period in Western Europe (Early modern Europe), its first colonies marked by the rise of strong centralized governments and the beginnings of recognizable nation states that are the direct antecedents of todays states in what is called Modern times. This categorical era spans the two centuries between the Middle Ages and the Industrial Revolution that has created modern society, and in subsequent years the term "Early modern" has evolved to be less euro-centric and more generally a semi-calendar era useful for tracking related historical events across vast regions, as the cultural influences and dynamics from one region impacting on distant others has become more appreciated. The early modern period is characterized by the rise to importance of science, the shrinkage of relative distances through improvements in transportation and communications and increasingly rapid technological progress, secularized civic politics and the early authoritarian nation states. Further, capitalist economies and institutions began their rise and development, beginning in northern Italian republics such as Genoa, and the oligarchy in Venice. The early modern period also saw the rise and beginning of the dominance of the economic theory of mercantilism. As such, the early modern period represents the decline and eventual disappearance, in much of the European sphere, of Christian theocracy, feudalism and serfdom. The period includes the Reformation, the disastrous Thirty Years' War, the European colonization of the Americas and the peak of the European witch-hunt craze. Unless indicated otherwise, the text in this article is either based on Wikipedia article "Early modern period" or another language Wikipedia page thereof used under the terms of the GNU Free Documentation License; or on original research by Jahsonic and friends. See Art and Popular Culture's copyright notice. This page was last modified 21:56, 5 April 2013. This page has been accessed 6,777 times.